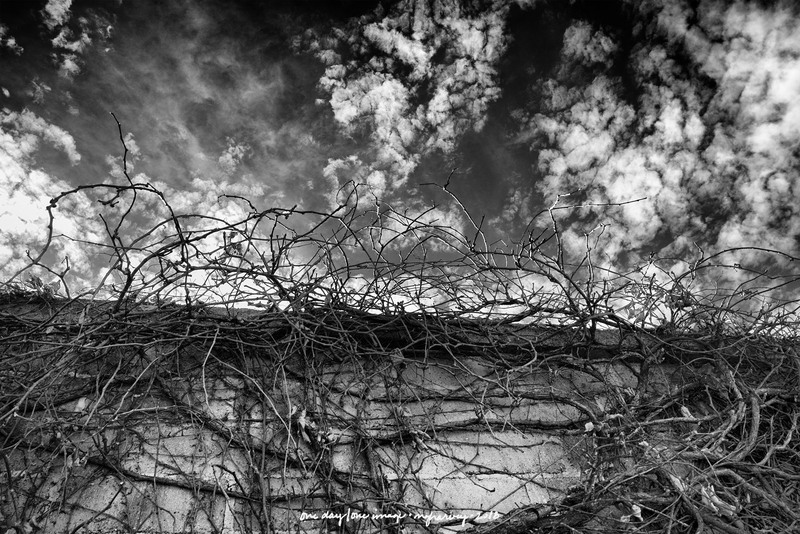 Winter-dead ivy branches seemed to be clawing at the sky. Maybe they’d already scraped the clouds into those little pieces? Posted on December 4, 2018, in Photography and tagged 365 photo project, black and white photography, cemetery, Fairmount Cemetery, learning to see, Leica, melinda green harvey, monochrome, one day one image, photo a day, photography, postaday, road trip, San Angelo, San Angelo Texas, texas, thoughtful seeing, travel photography. Bookmark the permalink. 2 Comments. I like this one a lot. And it’s just as interesting upside down. OK, so I actually turned my phone upside down to look at the photo. (You knew I would, I bet.) Anyway, I sort of like it better that way!